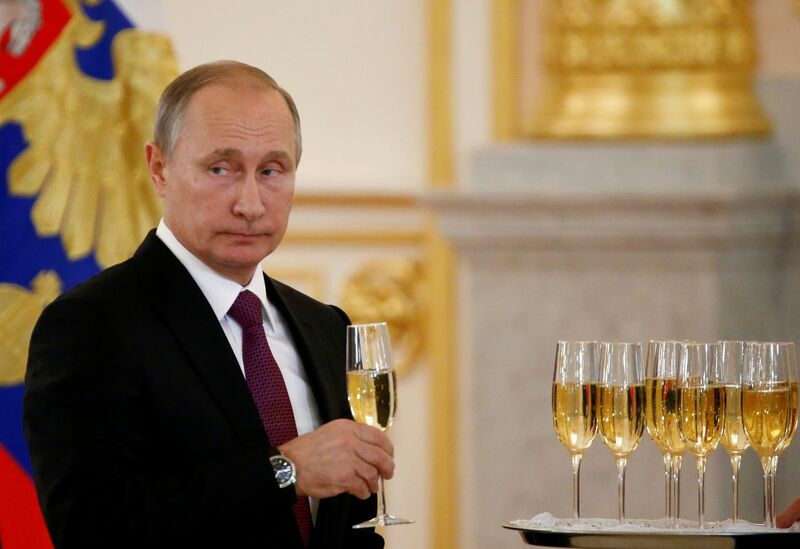 Barely an hour after Donald Trump stunned the world with his election victory, he received hearty congratulations from an unlikely admirer – Russian President Vladmir Putin. For any other winning U.S. presidential candidate, such quick adoration from the nation President Ronald Reagan dubbed the "evil empire" would spark suspicion. For Trump, it substantiated what many suspected, that he was supported — if not assisted — by Russia. Indeed, Russia's No. 2 foreign affairs official confirmed contacts between Russia and Trump's campaign, and already Putin and Trump have chatted about improving the "unsatisfactory" state of affairs between our countries. As Trump prepares to become the most powerful person in the world, he has a unique opportunity to capitalize on his "bromance" with Putin to reset the worst relations between the U.S. and Russia since the 1962 Cuban missile crisis. For a blueprint, Trump would be wise to look to Alaska. Beginning in the mid-1980s, citizen-diplomats from Alaska and the Russian Far East overcame tensions to melt the "Ice Curtain," which had prevented human contact across the Bering Strait for 40 years. This occurred at the height of the Cold War, made worse when a Korean civilian airliner departed Anchorage in 1983 and drifted over Eastern Russian territory. All 269 on board died when a Soviet missile shot it out of the sky. Alaskans and our Western neighbors set aside differences to rebuild personal relationships based on a shared history and mutual benefit. Those efforts reunited long-separated Native peoples and launched a productive 30-year era of commercial, cultural, scientific and educational ties, which still have lasting benefits. Today, warm and fuzzy aren't the feelings most Americans express about the world's largest country. Nearly three-quarters of us lump Russia with other outlaw nations such as North Korea and Iran as top threats to the U.S., and barely one in 10 of us approve of Putin. But as with so many of the traits millions of Americans believe disqualify Trump from the presidency, enough of his supporters overlooked them and his ties to Russia. Trump is well positioned to make nice with his Slavic comrade because they actually have much in common. Subject to foreign invasion for centuries and still smarting over the 1991 dissolution of the USSR, many Russians are justifiably paranoid. Some would say paranoia seems an apt description of a 70-year-old man who fires off insulting tweets about his political enemies from a secure gilded tower at 3 a.m.
Like Putin, Trump isn't indebted to any political party or financier for his quick rise to power. That frees both men to exhibit their version of strength by saying and doing pretty much what they want regardless of the facts or consequences. As Alaskans commemorate the 150th anniversary of our purchase from Russia next year, much will be made of the fruitful Alaska-Russia partnership. In World War II, Alaska helped supply Russia nearly 8,000 aircraft during lend-lease. A half century later beginning in 1993, Alaskans eased Russia's transition from the Soviet Union by training 62,000 Russians about Western business practices through the University of Alaska Anchorage. Today the countries should restart an ambitious U.S.-Russia Bilateral Commission initiative focused on 19 areas of cooperation from nuclear energy to sports exchanges. It was established in 2009 by Presidents Obama and Medvedev but suspended after Russia's incursion into Ukraine, an act Trump seems eager to forgive. With nearly half the Arctic within Russian borders, Putin is aggressively flexing his muscle there by reopening 50 military bases and dominating the region with a growing fleet of 40 icebreakers. Although a climate-change denier, Trump should recognize the Arctic's enormous commercial opportunities such as shipping and the need for cooperative science to better understand the changes underway. Just this week, Nature editorialized that "Russian science is still struggling to recover from decades of neglect and post-Soviet degradation." And what better site for a Putin-Trump Arctic summit than the former Russian-America? The melting Ice Curtain allowed thousands of Alaska and Russian Natives to reunite without the requirement of a visa. A dozen Alaska and Russian communities established stronger bonds through sister-city relationships and Alaskans helped establish three dozen Rotary Clubs in the Russian Far East to inspire public service. Today, two barriers to better U.S.-Russian relations are lack of regular air service across the Strait and the Russian crackdown on Western visitors and domestic dissenters. Trump should apply some of his infamous deal-making acumen to encourage airlines to resume flights in exchange for Russia loosening its noose on foreign scholars, nonprofits and its own citizens seeking stronger ties with the U.S.
Expectations among foreign policy experts couldn't be lower for Trump, but these are some ways for him to prove them and millions of Americans wrong. David Ramseur is a former journalist and political aide completing a book for the University of Alaska Press on contemporary Alaska-Russia relations, "Melting the Ice Curtain." He is a visiting scholar in public policy at UAA's Institute of Social and Economic Research. The views expressed here are the writer's and are not necessarily endorsed by Alaska Dispatch News, which welcomes a broad range of viewpoints. To submit a piece for consideration, email to commentary@alaskadispatch.com. Send submissions shorter than 200 words to letters@alaskadispatch.com.